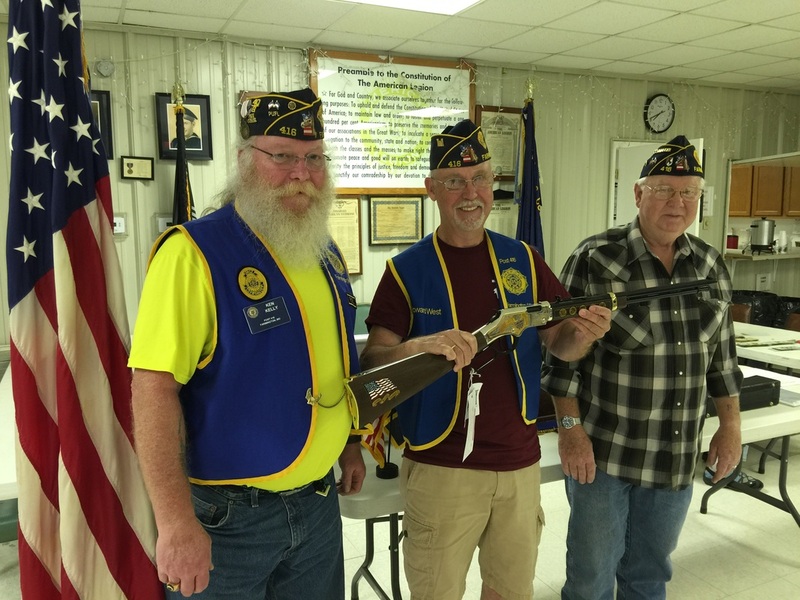 May 6 -- Howard West, a member of the American Legion Post 416, was named the winner of a Tribute Golden Boy Henry rifle, which was the prize of a raffle put on by Boy Scout Troop No. 247 sponsored by the Post. The contest raised $1,600 for scouting activities. Pictured from the left are Legion members Ken Kelly, Howard West, and Commander Bill Henson.